Be it your dinner or booking a holiday, on demand services has become congenital in one’s life. Unexpected guests at dinnertime? You can simply have your favourite dish, ordered in from your favourite restaurant delivered to your home in the quickest time possible, courtesy of on demand food delivery applications like UberEats, Just Eat, Food Panda or Swiggy. One such common, every day chore is doing the laundry. Be it doing it yourself or taking it out on a laundry run, it can be quite cumbersome. Delving into solving this problem, the laundry and dry cleaning service businesses have taken up to on demand service application. Creating a significant impact on the industry’s economy and progress, we find more entrepreneurs resorting to on demand laundry service applications to take their business forward. Take a look at the funding attracted by a few on demand laundry service companies. Using these companies as a fore guide, many uber for laundry startups like Washmen, Mulberries, Elaundry have taken up on demand laundry services. With an effective and a robust mobile application, one might start up a similar startup to rival the giants in the market like cleanly. Even local launderers might want to upgrade their business with a on demand laundry service mobile application to keep up with a market. A simple and effective application would have a clean UI and easy user experience. A few clicks should enable the customer to choose from the list of available launders and schedule a pick up at their convenient time. Post the pick up and the laundry service, the service folk deliver your cloths back at your at your scheduled drop off time. To stand out from the market, you can add features to the base application like adding a picture of stain as in cleanly to indicate the service providers to take special care. Some have routine appointments option while some have chat options. The key to having a successful business in laundry service is to have an effective on demand laundry service mobile application. There are a very few companies that offer an effective and scalable solutions as well as WAIOZ Consultancy Services. 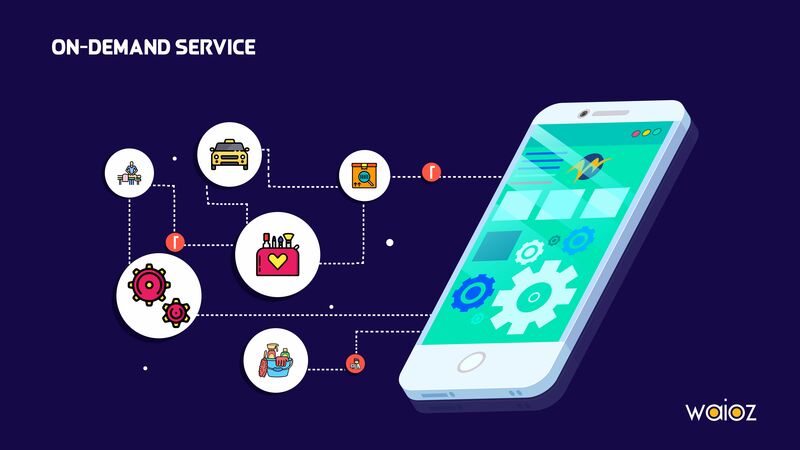 With a well designed base Minimum Viable Product for on demand service applications, we couple it with personalized designs and functionality to make your application unique, effective and minimalistic.